You knew this would happen the second you saw the custom award. Out of nowhere, Valve introduced the first ever Steam Awards with the currently ongoing Autumn Sale. There are a few pre-set awards everyone is encouraged to nominate games for. However, the last award is left blank so you can decide on whatever it is you want it to be called. Valve is calling the ‘We Didn’t Think of Everything’ award, so Steam users have been busy coming up with amusing made-up names for it. The ‘GAME THAT DESERVES A SEQUEL’ award is among the most popular fan-made categories, and, just as you might imagine, there’s a push to see Half-Life 2: Episode Two get nominated, and win. Reddit user GruffBarbarian posted his idea to the message board and managed to get a very positive response. Many other players agreed to do the same, and to keep the message clear, it was suggested that everyone use the exact name GruffBarbarian used for the category, all caps and everything. Unfortunately, there’s currently no way to see what other users have nominated for the official awards, or find out about other amusing/terrible fan-made ones. But, judging from how popular this Reddit post is, a few thousands – at least – have voted for Half-Life 2: Episode Two as the game most deserving of a sequel. 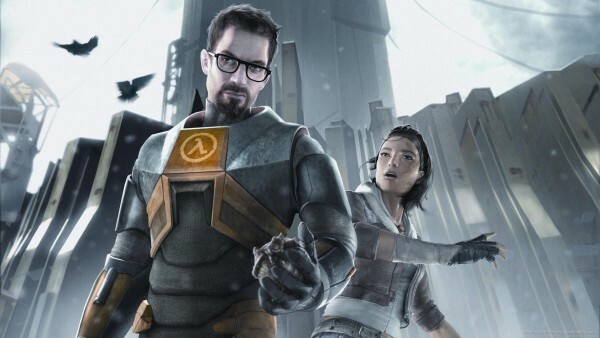 Maybe this will get Valve to make Half-Life 3?